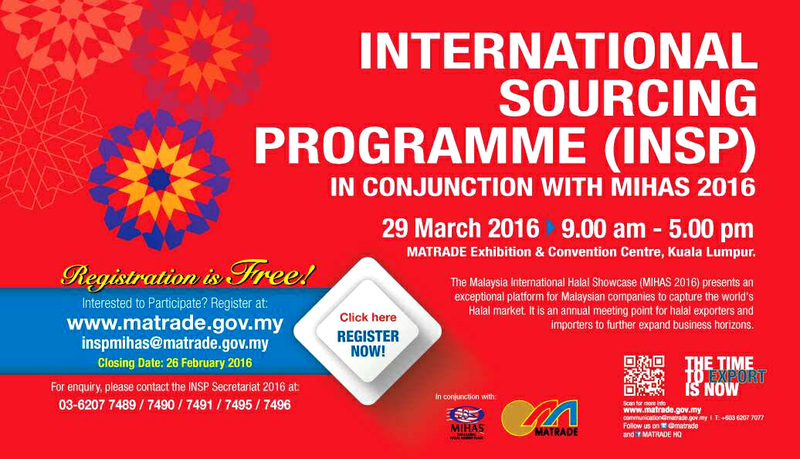 Please be informed that Malaysia External Trade Development Corporation (MATRADE) in conjunction with Malaysia International Halal Showcase (MIHAS) 2016 would like to invite you to participate in the International Sourcing Programme (INSP) on 29 March, 2016.
INTERNATIONAL SOURCING PROGRAMME (INSP) or formally known as Incoming Buying Mission (IBM) organized by MATRADE is a pre-arranged and facilitated one-on-one Business Meeting between Malaysian Exporters and Foreign Buyers. INSP in conjunction with the 13th Malaysia International Halal Showcase (MIHAS) 2016 is an excellent opportunity for Malaysian companies to capture the world’s Halal market. 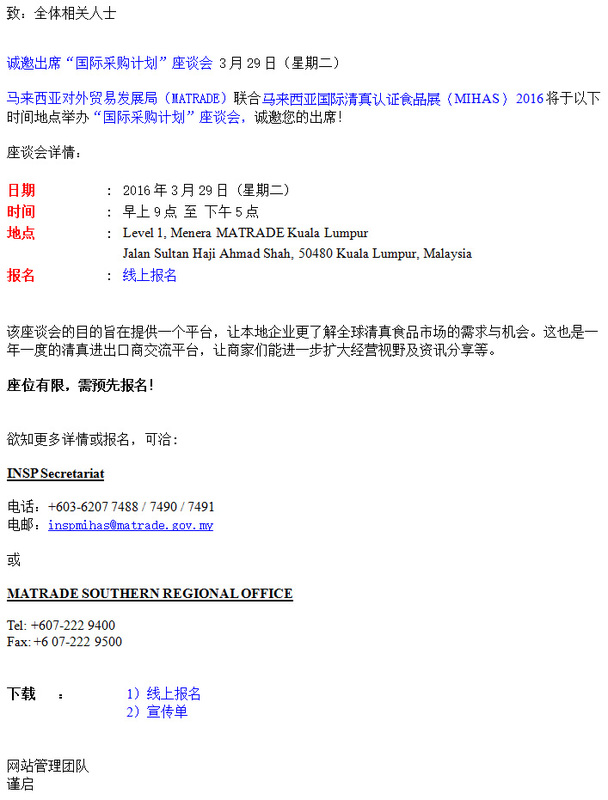 It is an annual meeting point for Halal exporters and importers to further expand business horizon. Seats are limited, pre-register is required.